Available in Bronze, Sterling Silver and 14K Gold. 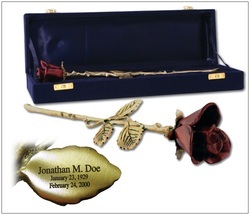 Brushed brass rose with painted finish and cavity for storing cremains. Engraving available. Case included. Soft Bear with zippered pouch for holding a Keepsake. 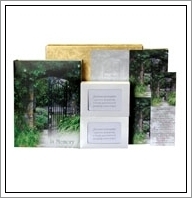 Comes with a Keepsake Urn.